MaxPreps has chosen the top all-time high school players from each of the 50 states with a few simple rules. First, in order for a player to be chosen, he must have played professional basketball. Second, the player had to make some sort of significant contribution at the high school level. As a result, a player like Bill Russell, arguably one of the greatest pro players of all-time with the Boston Celtics, doesn’t qualify because he was mostly a back-up player during his high school career and didn’t come into his own until his college years. 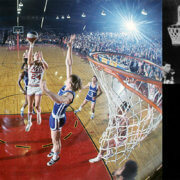 Below are the ABA greats from the high school days. Be sure to check out the full list below. Bob Netolicky, Cedar Rapids Washington – After a stellar high school career, Netolicky went on to become an All-American at Drake University. 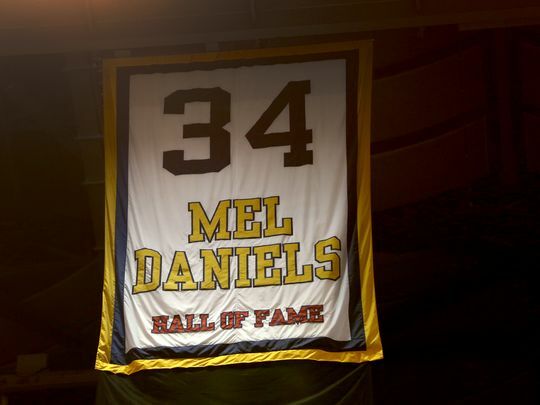 He became a member of the Indiana Pacers in the fledgling ABA and became one of the upstart league’s all-time best players, earning a spot on the ABA’s 30-member all-time team. He averaged 16 points for his career. Ron Boone, Omaha Tech – One of the more reliable pro basketball players, Boone played in 1,041 consecutive games during his playing days in the ABA and the NBA during the 1970s. A solid scorer, he averaged 17 points per game in his career. He won a state championship in high school at Omaha Tech and became a big-time scorer his senior year. He also won an ABA title with the Utah Stars and was inducted into the Nebraska High School Sports Hall of Fame in 1995. Rick Barry, Roselle Park – In high school, Barry twice earned all-state honors in basketball before embarking on a high-scoring college career at University of Miami. There, he led the NCAA in scoring with 37.4 points as a junior. 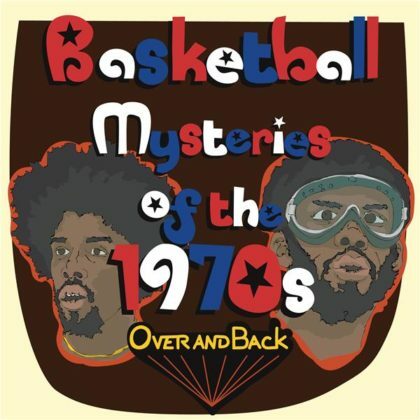 He played for the Warriors in the NBA and also spent time in the ABA, leading both leagues in scoring at different points in his career. He is the only player in basketball history to lead the NCAA, NBA and ABA in scoring. He scored over 25,000 points in his pro career. Moses Malone, Petersburg – The first high school player to go straight into the professional ranks, Malone led Petersburg to 50 straight wins and two state titles before heading to play for the Utah Stars in the ABA. Inducted into the NBA Hall of Fame in 2001, Malone was a three-time NBA MVP and was a 12-time all-star. Charles Barkley, Leeds – One of the more popular players in the NBA over the past 20 years, and still popular in retirement as a studio analyst on TNT, Barkley was relatively unknown outside of Alabama during his high school days. A one-year wonder at Leeds High School, Barkley reportedly did not make the team at Leeds during his junior year, but grew six inches as a senior and averaged 19.1 points and 18 rebounds in his only varsity season. He led Leeds to the state semifinals and earned a scholarship to Auburn. Barkley went on to a stellar NBA career that included 11 All-NBA selections, an MVP performance in 1993 and a spot on the NBA’s 50th Anniversary All-Time Team. Carlos Boozer, Juneau-Douglas – The list of NBA players from Alaska is a short one and Boozer is easily the most talented player to come from the frozen North. A two-time Parade All-American at Juneau-Douglas, Boozer played college ball at Duke and led the Blue Devils to an NCAA championship in 2001. A second round pick by the Cleveland Cavaliers, Boozer has twice made the all-star team and was a member of the all-rookie team in 2003. Mike Bibby, Shadow Mountain – As a high school senior at Shadow Mountain, the son of former Philadelphia 76er Henry Bibby earned nearly every award possible. He was first team All-American by USA Today and he played in the McDonald’s All-American Game in 1996 after leading his team to a state championship. Bibby earned Pac-10 freshman of the year honors and guided the Arizona Wildcats to an NCAA championship as a sophomore before turning pro. A 10-year veteran of the NBA, Bibby is the all-time leading scorer from the state of Arizona with over 13,000 career points, mostly with the Sacramento Kings. Sidney Moncrief, Little Rock Hall – The former Arkansas Razorback and Milwaukee Buck gets the nod over former Chicago Bull great Scotty Pippen as the best player from Arkansas. While Pippen was just 6-foot-1 and a walk-on at an NAIA school following his senior year, Moncrief was a bonafide star at Little Rock Hall High School in the mid-1970s. Named to several All-American teams, Moncrief went on to become Arkansas University’s all-time leading scorer. Moncrief played 10 seasons with the Milwaukee Bucks and was considered one of the top defensive players in the league, twice earning NBA Defensive Player of the Year honors. Jason Kidd, St. Joseph’s – the Golden State abounds with legendary basketball talent, including the likes of Bill Russell (McClymonds), Bill Walton (Helix), Reggie Miller (Riverside Poly) and Paul Pierce (Inglewood), but Jason Kidd may have the best all-around career. A two-time state champion and two-time state MVP at St. Joseph’s in Alameda, Kidd was the consummate All-American, dazzling with his scoring and his passing abilities. He is still the state’s all-time assist leader, according to Cal-Hi Sports, and is among the state’s all-time leading scorers. In college, he led a resurgence at Cal before turning pro after his sophomore year. In the NBA, he has been named to the All-Defensive team nine times and the All-NBA team six times. He ranks third in NBA history in assists. Kidd gets the nod over Russell, who did not blossom until his junior year in college, and Walton, who had a great college and high school career but was plagued by injuries at the pro level. Chauncey Billups, Washington – Few players have had success at the high school level like Billups. Named Mr. Basketball in Colorado three years in a row, Billups went on to play at Colorado, where he was a first team All-American. In the NBA, Billups bounced around to five teams before finding a home in Detroit in 2002. He led the Pistons to the NBA championship in 2004 and was named the Finals MVP. He’s also been All-NBA three times and has twice been named to the All-Defensive Team. Calvin Murphy, Norwalk – A member of the NBA Hall of Fame, Murphy was all-state three times at Norwalk and twice earned All-American honors. A prolific scorer in college at Niagara, averaging 33.1 points over three seasons and was a three-time All-American. In the NBA, Murphy played with the Houston Rockets and scored 17,949 points, which is second most in team history. Terence Stansbury, Newark – The Delaware state player of the year in 1980, Stanbury had an outstanding career at Temple, averaging nearly 25 points his junior year and going to the Dallas Mavericks with the 15th pick in the first round of the 1984 draft. A three-year veteran of the NBA, Stansbury found greater success in Europe, where he played for 16 seasons and was eventually inducted into the French Basketball Hall of Fame. Vince Carter, Mainland – A McDonald’s All-American coming out of Mainland High in Daytona Beach, Carter had three strong seasons at the University of North Carolina before being taken with the fifth overall pick in the 1998 draft by the Golden State Warriors. Carter is an eight-time All-Star and has been named to the All-NBA team twice in his 11 years in the league. Walt Frazier, Howard – A talented playmaker and the leader of two NBA championship teams with the New York Knicks in the 1970s, Frazier got his start in Georgia at Howard, which was an all-black school during the early 1960s. Howard excelled at Howard and went on to an outstanding career at Southern Illinois University before going to the Knicks with the fifth pick in the 1967 NBA draft. Frazier was a seven-time all-star and made the All-Defensive team seven times. Red Rocha, Hilo – Basketball Reference lists only one NBA player who played his high school ball in Hawaii, and that is Red Rocha. One of the pioneers of the sport, Rocha began with the St. Louis Bombers in 1947 before finally joining the Syracuse Nationals. Rocha carved out a nine-year career that included 6,362 career points. Steve Hayes, Aberdeen – Only one NBA player from Idaho has played more than 100 games, and that is Steve Hayes, a 7-foot center who played 212 games from 1982 to 1986 with six different teams. Hayes scored a grand total of 545 points in his NBA career, but he had an outstanding high school career at Aberdeen. He still holds the record for most points in a state tournament (3 games) with 98, as well as the record for free throws in a tournament with 32. He is Idaho State’s all-time leading rebounder and second all-time leading scorer. Isiah Thomas, Saint Joseph’s – Thomas was playing on the Pan-Am team right out of high school and qualified for the 1980 Olympic team during his freshman year at Indiana. At St. Joseph’s High School in Westchester, Thomas led the team to the state finals as a junior. 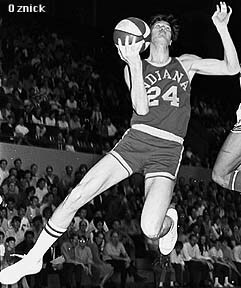 At Indiana, he led the Hoosiers to the NCAA championship in 1981 during his sophomore season before heading to the NBA. He played his entire career with the Detroit Pistons, leading them to a pair of championships in 1989 and 1990. Oscar Robertson, Attucks – Before embarking on a spectacular college career at Cincinnati, where he led the nation in scoring three years in a row, and a Hall of Fame NBA career, Robertson led Crispus Attucks to an undefeated state championship and 45 straight wins in 1956. Attucks became the first all-black team to win a state championship. Robertson was named the NCAA player of the year three years in a row and finished his career as the NCAA’s all-time leading scorer. In the NBA, Robertson was a 12-time All-NBA player and averaged 25.7 points for his career. Danny Manning, Lawrence – A consensus All-American at Lawrence High School in Kansas, Manning attended University of Kansas and led the Jayhawks to an NCAA championship in 1988. He finished his career as the school’s all-time leading scorer and was the No. 1 pick in the 1988 draft. He had a 15-year career with seven different teams and finished with 12,367 points. Wes Unseld, Seneca – The eventual Washington Bullets standout led Seneca High School to two state championships in the early 1960s. In three years at Louisville, he averaged 20.6 points and 18.9 rebounds per game for the Cardinals. He took the NBA by storm in 1969, earning Rookie of the Year and MVP honors. A member of the NBA’s 50th Anniversary All-Time Team, Unseld was the MVP of the 1978 finals when he led the Bullets to the championship over the Seattle Supersonics. Elvin Hayes, Eula D. Britton – One of the all-time leading scorers in NBA history, Hayes led Britton to a state championship his senior year, averaging 35 points a game. At the University of Houston, Hayes led the Cougars to an upset win over UCLA in 1968, snapping the Bruins’ 47-game win streak. As a rookie in the NBA, he led the league in scoring. 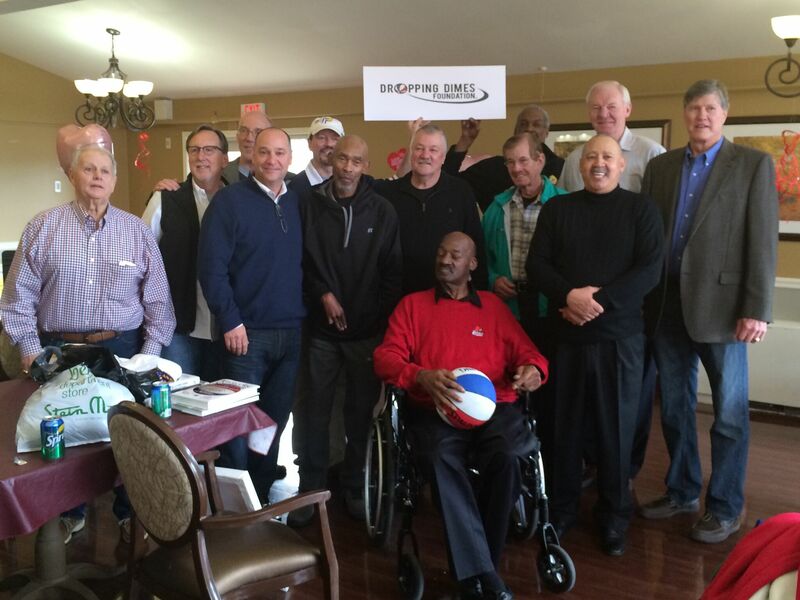 He eventually led the Bullets, along with Unseld, to an NBA championship in 1978. Brad Miller, Maine Central Institute – Miller actually attended high school in Indiana, but played at Maine Central Institute before heading to Purdue. 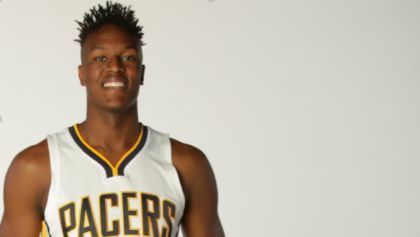 Undrafted out of college, Miller played with several teams before turning in an all-star performance with the Indiana Pacers in 2003. He also made the all-star team as a member of the Sacramento Kings. Adrian Dantley, DeMatha – A prolific scorer throughout his career, Dantley led DeMatha to a 57-2 record in his varsity career. He later earned All-American honors at Notre Dame and was a member of the 1976 Olympic team that won the gold medal. A six-time NBA all-star, he finished his career with 23,177 points and was inducted into the Hall of Fame in 2008. Patrick Ewing, Rindge and Latin – One of the most coveted big men in high school basketball history, Ewing was the No. 1 recruit in the nation in 1981. He attended Georgetown and led the Hoyas to an NCAA title in 1984. The No. 1 pick in the 1985 NBA draft, Ewing is a member of the NBA’s 50th Anniversary All-Time Team and is the all-time leading scorer and rebounder for the New York Knicks. Magic Johnson, Everett – In a four-year span, Johnson won a high school state championship, an NCAA title and an NBA championship. He led Everett to the state championship in Michigan, averaging 28.8 points a game. In his second year at Michigan State, Johnson and the Spartans defeated Indiana State and Larry Bird for the NCAA crown. The No. 1 pick in the 1979 NBA draft by the Los Angeles Lakers, Johnson led the team to an NBA title in 1980. The championship was the first of five in Johnson’s career that spanned 13 years. Kevin McHale, Hibbing – One of the great power forwards in NBA history, McHale led Hibbing High School to the state finals as a senior. He had a stellar career at Minnesota, making all-Big Ten his junior and senior year. In the NBA, he was a seven-time all-star and was named to the NBA’s 50th Anniversary All-Time Team. Purvis Short, Blair – A member of the Mississippi Sports Hall of Fame, Short was a standout at Blair before becoming a three-time All-American at Jackson State. With his signature rainbow jump shot, Short became a prolific scorer for the Golden State Warriors in the NBA and averaged 17.3 points for his 12-year career. JoJo White, McKinley – A highly-sought after guard coming out of McKinley High School in St. Louis, White reportedly received 250 college offers. He chose Kansas and earned All-American honors there in the late 1960s, also earning a gold medal with the 1968 Olympic Team. He joined the Boston Celtics in 1969 and became a seven-time All-Star while helping the Celtics win two NBA championships. Larry Krystkowiak, Big Sky – In a nine-year career in the NBA, mostly as a backup for six different teams, Krystkowiak averaged just over 8 points per game. One of only four Montana high schoolers to play in the NBA, Krystkowiak starred at Big Sky High School before attending Montana, where he was a three-time Big Sky Conference MVP while averaging over 20 points per game. Lionel Hollins, Rancho – A member of four Halls of Fame – the Arizona State University, Nevada High School Basketball, Southern Nevada Sports and Pac-10 – Hollins was the sixth overall pick in the 1975 NBA draft by the Portland Trailblazers. He played in three NBA finals, winning one title with the Trailblazers and one with the 76ers. He played college ball at Arizona State where he was a first team All-American as a senior. Matt Bonner, Concord – Bonner had his best season as a pro this year, proving to be a valuable reserve player for the San Antonio Spurs. In high school, Bonner led Concord to three state championships. He played at Florida University and finished among the school’s all-time scoring leaders. Bill Bridges, Hobbs – Bridges had one of the more balanced NBA careers of any player, averaging exactly 11.9 points and 11.9 rebounds in his 13-year career. A three-time NBA all-star, Bridges starred at the University of Kansas in the early 1960s and was a standout for Hobbs under legendary coach Ralph Tasker. Kareem Abdul-Jabbar, Power Memorial – Known as Lew Alcindor in high school, Jabbar led Power Memorial High School to 71 straight wins in the mid-1960s. From there he went to UCLA and led the Bruins to three straight NCAA titles and was named the nation’s best player three years in a row. The all-time leading scorer in the NBA, Jabbar led the Milwaukee Bucks to a championship in 1971 and helped lead the Los Angeles Lakers to five titles. Michael Jordan, Emsley Laney – Although he is generally considered the greatest player in NBA history, Jordan was virtually unknown heading into his senior year. However he led Laney to 19 wins and was recruited by North Carolina. There, he helped the Tar Heels win an NCAA title in 1982. In the NBA, Jordan won six titles with the Chicago Bulls. Phil Jackson, Williston – Although known more as one of the winningest coaches in NBA history, Jackson was a solid player in the NBA, playing on two NBA title teams with the New York Knicks. In high school, Jackson led Williston to a pair of state titles. He played at the University of North Dakota and led the Fighting Sioux to a pair of top four finishes in the NCAA Division 2 tournament. 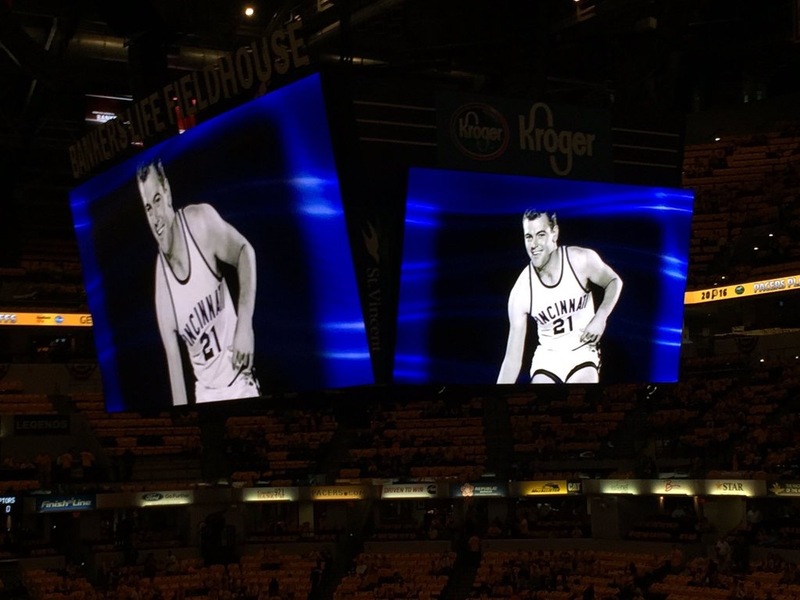 John Havlicek, Bridgeport – While there is a temptation to choose LeBron James for his remarkable career at St. Vincent-St. Mary’s, it’s hard to overlook the remarkable career of Hondo, John Havlicek. A three-sport start at Bridgeport, Havlicek earned all-state honors in football, basketball and baseball. He was an All-American on the great Ohio State teams of the early 1960s and became a 13-time all-star and 8-time NBA champion with the Boston Celtics. He retired as the third all-time leading scorer in NBA history and still ranks 14th with 26,395 points. Wayman Tisdale, Booker T. Washington – A first team All-American in high school, Tisdale became a three-time All-American at Oklahoma. He was the second overall pick in the 1985 NBA draft and had a solid 12-year career averaging over 15 points a game. Danny Ainge, North Eugene – Ainge ranks as one of the greatest all-around athletes in high school sports history. He is reportedly the only player to earn first team All-American honors in football, basketball and baseball. He led North Eugene to two state titles before heading to Brigham Young on a basketball scholarship. He was named the NCAA’s best player his senior year but decided to pursue a baseball career. He eventually returned to the NBA and won three NBA titles with the Boston Celtics during a 14-year career. Wilt Chamberlain, Overbrook – NBA owners had their eyes on Chamberlain when he was just a junior at Overbrook in the early 1950s. He set the state scoring record with 90 points in one game as a prep star before heading to Kansas, where he led the Jayhawks to the 1958 championship game. He later joined the NBA and became the league’s all-time leading scorer. Perhaps his most amazing feat, aside from scoring 100 points in one NBA game, was averaging over 50 points per game during the 1962 season. Ernie DiGregorio, North Providence – DiGregorio was a ballhandling wizard who led his high school to a state championship and then led Providence College to a Final Four appearance in 1973. A No 3 overall pick in the NBA draft, DiGregorio had a short-lived NBA career, but he did lead the league in assists and was the Rookie of the Year. Alex English, Dreher – Always a prolific scorer, English averaged 31 points per game in high school, became the all-time leading scorer at the University of South Carolina (1,972 points) and became the first player in NBA history to score over 2,000 points in eight consecutive seasons. He was an eight-time NBA all-star and was named to the Naismith Memorial Basketball Hall of Fame in 1997. Mike Miller, Mitchell – One of only three NBA players from South Dakota, Miller was the NBA Rookie of the year in 2001 and was named the Sixth Man of the Year in 2006. He has averaged 13.9 points in his NBA career. In high school, Miller led Mitchell to state titles in 1996 and 1997. Anfernee Hardaway, Treadwell – While players like Shawn Marion and Bailey Howell have had slightly better NBA careers, Anfernee Hardaway gets the nod here for his overall body of work. Named the National Player of the Year by Parade in 1989, Hardaway scored 3,039 points in his prep career. He played two standout years at Memphis State, averaging 23 points a game as a junior. He was the No. 3 overall pick in the NBA draft in 1993 and was a four-time all-star with the Orlando Magic before injuries slowed his career. Shaquille O’Neal, Cole – O’Neal had an outstanding prep career, leading Cole High School in San Antonio to a 68-1 record his final two years with a state championship his senior season. After two All-American seasons at LSU, O’Neal was the No. 1 overall pick in the 1992 draft by the Orlando Magic. A four-time NBA champion, O’Neal is a 15-time All-Star with over 27,000 career points. Shawn Bradley, Emery County – Although the 7-foot-4 center had a rather pedestrian 10-year NBA career, he was a much sought after recruit coming out of Emery County High School in Castle Dale. After serving a Mormon mission, Bradley played just one season at BYU before turning pro. He ranks among the NBA’s all-time leaders in blocked shots and led the league in that category in 2001. Basketball-Reference does not list any Vermont high school graduates as members of the NBA. John Stockton, Gonzaga Prep – The NBA’s all-time assist leader, Stockton was a solid high school player, but blossomed at the University of Gonzaga where he eventually earned a spot on the 1984 Olympic Team. He was selected with the 16th pick of the NBA draft by the Utah Jazz and played 19 years for the team. He is the NBA’s all-time leader in assists with 15,806, and steals, with 3,265. Jerry West, East Bank – The West Virginia high school player of the year as a senior in 1956, West averaged 32.2 points per game and was an All-American. He enjoyed a spectacular college career at West Virginia, twice earning All-American status. He played on the gold medal Olympic team in 1960 and went on to a 14-year NBA career with the Los Angeles Lakers that included 14 all-star performances and 25,191 career points. Fred Brown, Lincoln – While future NBA standouts like Latrell Sprewell, Terry Porter and Nick Van Exel had modest high school careers, Fred Brown had a spectacular career at Milwaukee Lincoln, leading the school to two state championships. He averaged 21.3 points per game his freshman year in college at Southeastern and posted 26.8 as a sophomore. He transferred to Iowa and averaged 28.9 points as a senior while earning All-American honors. A three-point specialist in the NBA, Brown averaged 14.5 points over 13 seasons and helped the Sonics win the NBA title in 1979. Kenny Sailors, Laramie – Considered by some to be the originator of the jump shot, Sailors was a three-time All-American at Wyoming and was the NCAA player of the year in 1943 while leading the Cowboys to the NCAA championship. He played in the early years of the NBA, playing for seven teams in seven years. https://droppingdimes.org/wp-content/uploads/2015/03/aba-pic-6.jpg 288 241 DrpDimes https://droppingdimes.org/wp-content/uploads/2016/09/dropping-dimes-logo.png DrpDimes2016-08-11 17:31:182017-01-07 12:12:59Netolicky, Malone, Boone, Barry and others join "50 Greats from 50 States"